In Reggio Emilia schools, there is a long history and tradition of “self-identity panels.” The children create self-portraits which provide a special glimpse into their individuality and uniqueness. Malaguzzi and Musatti (1996), Pelo (2007) believe that self-portraiture is deeply connected to children’s identity perceptions … stories children tell in their portraits. With this invitation, we presented a variety of loose parts on the table. They first had time to explore and play with the materials. Examining the materials ahead of time allows time to spark their interest, curiosity, and starts a dialogue with their peers to discuss their ideas. One student was focused on making their accessories (necklaces, barrettes) while another student wanted to make sure they included every specific facial feature (eye brows, eye lashes, cheeks, etc). It was neat to see how they each approached the loose parts differently. An interesting twist to this project occurred when I had a student that approached this invitation in a completely different way. Does the circle need to be a face? Can the circle be something else? Of course it can! The portrait below is of a Megalodon shark with his mouth wide-open eating a whale. Also, there is a cactus poking through the bottom. Moments like these, I love my job and encouraging and supporting these children to keep thinking in original ways. After completing our self-portraits, the students reflected and shared their favorite part of their picture. Also, they responded to the following prompt inspired from a Dr. Seuss book: "Star or no star, I like you just the way you are. I like me because..."
PS. A big thank you to my amazing intern, Emily, who lead the loose parts inquiry with the children. Malaguzzi, L., & C. Musatti. 1996. “L ‘Importanza di Rivedersi / The Importance of Seeing Yourself Again.” In I cento linguaggi dei bambini: Narrativa del possibile/The Hundred Languages of Children: Narrative of the Possible, eds. T. Filippini & V. Vecchi, 46–52. Reggio Emilia, Italy: Reggio Children. Pelo, A. 2007. The Language of Art: Inquiry-Based Studio Practices in Early Childhood Settings. St. Paul, MN: Redleaf. Before the holidays, I noticed only a couple of children were playing in the dramatic play area every day. Also, I noticed others were very interested in creating with play-dough and loose parts. During our holiday gathering, I had even set-up several provocations around the room and all of the children were crowded around the play-dough table with their families. I wondered if the introduction of a bread investigation would deepen their level of play and encourage more children to play in the dramatic play area? Also, I wondered what new relationships will be formed as we involve families and the community in this investigation? My role as their teacher is to intervene as little possible, but to observe, to listen, to interpret and to facilitate the children’s research by providing interesting and stimulating experiences and resources. We were fortunate to have a variety of "wow" experiences for our children during this investigation: visiting a local bakery, wheat farmers shared their crop with us and showed us how to make flour, making a variety of breads from around the world, and special guest bakers visited our classroom. Well, let’s try it out and see what happens to flip flop the rooms! Seeing their environment in a new way inspired the children to make signs, menus, and pricing which enhanced their play. 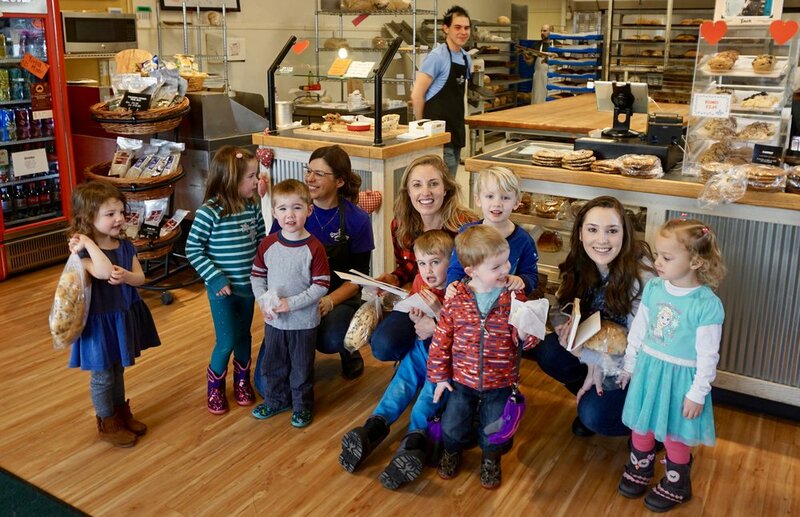 Also, it has encouraged new friendships and other children to play together in the bakery, thus supporting their social and emotional development. Early Childhood Educator Priscilla Patti lives in Fort Collins where she has worked for over 20 years as a preschool teacher and the Director of Student Learning at the Early Childhood Center at Colorado State University. She recently sat down with me to discuss the benefits and challenges of a Reggio Emilia education as well as the pros and cons from an educator's perspective. Also, she shares her thoughts on Reggio’s future and invited us over to explore her backyard nature provocations. How did you first become interested in Reggio Emilia? I was working at the Early Childhood Center (ECC) at CSU and the staff started reading and learning about the Reggio philosophy which is based in Reggio Emilia, Italy. As teachers, we read as much as we could and attended trainings and conferences including presentations at the Boulder Journey School. At that time, we had a theme based curriculum and didn’t plan around the child’s interests. Later we started implementing a project-based curriculum. When did the ECC switch over to Reggio Emilia? The ECC switched to a Reggio-inspired school in January 2013 when we moved into our new building. We took on certain principles such as viewing the ‘image of the child’ as competent and capable, the environment itself as the “third teacher” to allow for inquiry and exploration, and the process of documentation to promote open communication between teachers and parents. What are the benefits of a Reggio-inspired curriculum? It’s hard for me to think of any other way of learning. I think it teaches collaboration and getting children to learn how to work together on a project. It looks at things as a whole versus separating them out. Also, it helps kids go into a deeper level of thinking because it’s what they are interested in. Also, co-creating their learning with a teacher honors them so much. 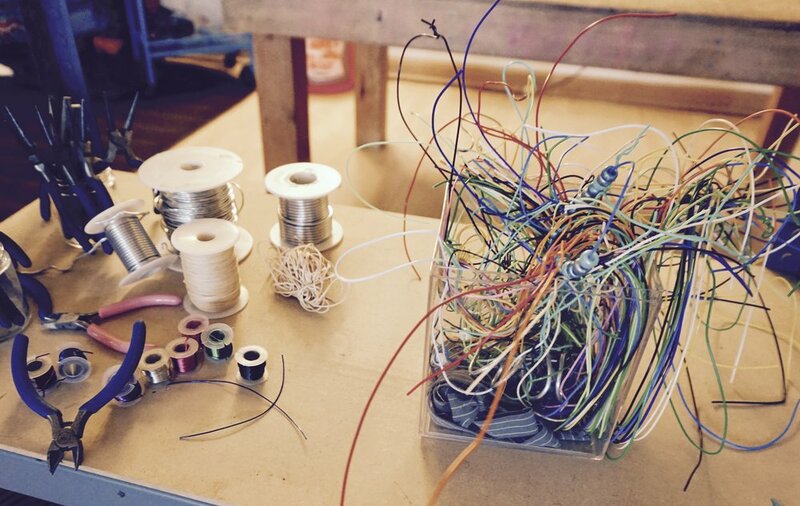 What are the challenges of teaching a Reggio-inspired curriculum? From a teacher’s perspective, there is a certain loss of control with the unknown. In traditional preschool classrooms you will plan out your lessons for the year. With Reggio, there is a not a set curriculum because you follow the child’s interests and make plans around their interests. It can be very rewarding and at the same time challenging! What is the future of Reggio Emilia? Reggio has definitely become more popular in North America. I believe that Reggio could be introduced in elementary schools and even high schools. We can learn so much from preschool and viewing the child as strong, capable, and resilient; rich with wonder and knowledge. The Reggio philosophy is all about values and making those values visible. It’s not an easy thing to do — In my classroom I valued teaching children independence so everything was out at their eye level and they could do as much as they can on their own. It's up to the teacher to make those values come to life whether that’s relationships, nature exploration, or collaboration to name a few. Thank you so much for sharing Priscilla! You have given so much of your time, expertise, and voice to the early childhood profession in Fort Collins. We are so grateful for you! Priscilla recently started her own consulting co, 'Image of the Educator,' providing monthly trainings for early childhood professionals inspired by the Reggio Emilia principles. If you'd like to contact her for future trainings at your school, you can reach her at priscillaann.patti@gmail.com. What is the Reggio Emilia approach to early learning? While Reggio Emilia is not as widely known as Montessori or Waldorf, it is starting to attract a devoted following in the United States. Several of you have asked for more historical information on Reggio and where this philosophy originated. Here’s five important things to know about Reggio Emilia, its history in Italy, and the future of this approach to early learning. 1. The Reggio approach is geared towards early childhood education. Similar to Montessori, Reggio is a child-centered, progressive approach to early learning. The guiding principle is that children are viewed as strong, capable, and resilient; rich with wonder and knowledge. While I have learned about elementary and high schools using Reggio-inspired ideas, the large majority of schools are geared towards toddlers and preschool children. 2. Reggio grew out of the aftermath of World War II. After World War II, the town of Reggio Emilia, Italy was destroyed. A young teacher by the name of Loris Malaguzzi saw the need to rebuild society, starting with children. He developed a constructivist approach which valued the ability of children to learn spontaneously through hands-on learning. 3. Reggio is an International Movement. The first Reggio school opened in the 1940s in Italy. Now Reggio Emilia-inspired schools have spread to 34 countries where it inspires over 75,000 children and families. In Fort Collins, the two Reggio-inspired schools are the Early Childhood Center at CSU and Roots & Wings. Also, there is a “Wonder of Learning” exhibit that travels all over the world explaining the Reggio approach. This summer the exhibit will be in Ann Arbor, MI and you can click here for a full list of future dates. 4. It is not a formal, doctrine approach. Contrary to Waldorf and Montessori schools, there is no formal teacher training, credentialing, or authorization to become a Reggio-inspired school. The only “Reggio Emilia” schools are the ones based in the Reggio Emilia region in Italy. The schools in the United States use the same ideas and philosophies as Italy and refer to themselves as Reggio Emilia-inspired. 5. Reggio Children is the organization that supports the Reggio approach. Reggio Children is based in Reggio Emilia, Italy. This organization provides training materials, courses, and curriculum to support Reggio-inspired schools all over the world. For more information on how Reggio Emilia compares to Montessori and Waldorf, check out this article I wrote which explains the different styles and includes a list of specific preschools in Fort Collins. Put simply, provocations provoke! They provoke thoughts, discussions, questions, interests, creativity and ideas. They can also expand on a thought, project, idea and interest. Rachel explains further, " Provocations can be as simple as a photo of a rock sculpture next to some pebbles or as elaborate as a table with an assortment of recycled materials next to a book on robots and resources to make upcycled robots. 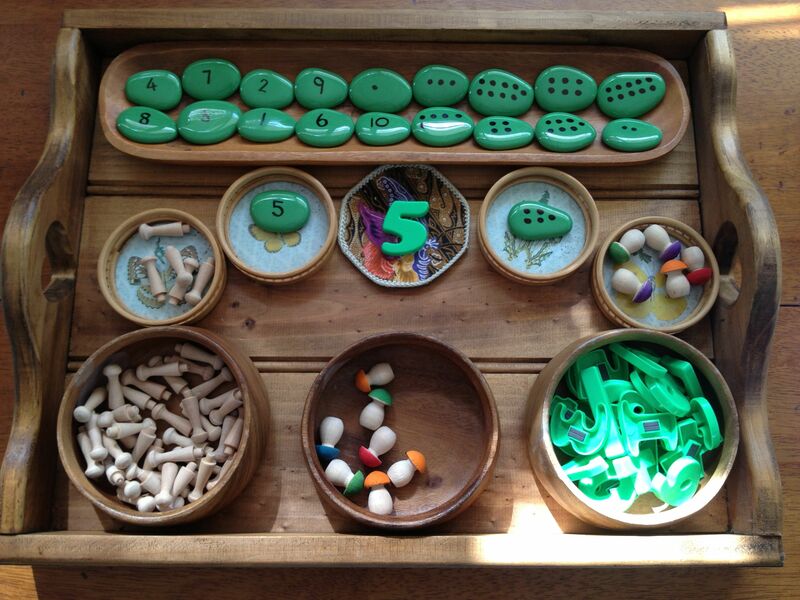 Often though, provocations are simple and displayed beautifully to provoke interest. Ultimately, the intention of provocations is to provide an invitation for a child to explore and express themselves. It should be open-ended and provide a means for expression where possible. As our summer pilot program gets until full swing, I plan to post provocations as we go! Nature Provocation via Fairy Dust Teaching. Bird nest provocation via Little Worlds. Math provocation via Pinterest. Rock provocation via Respectful Learning & Parenting.